>>>The letter “i” in BIG resembling the DALLAS, TEXAS “Reunion Tower” thus evoking the city of “DALLAS”. 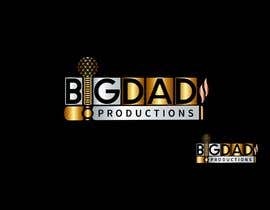 The image of a fancy CIGAR thus evoking a “big shot” -the cigar could underline and separate BIGDAD from Productions or even the cigar contains “Productions” ? business Concept: (a creative business) [login to view URL] &amp; [login to view URL] Video LiveStreaming event and Video Production company doing business in Dallas, Texas. 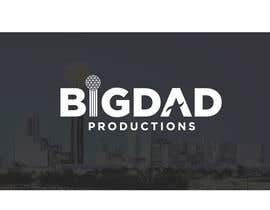 BIGDAD PRODUCTIONS is a livestreaming and video entertainment production house based in Dallas, TX. It is the brain-child of Shane Mundee, whose vision is to create livestreams and videos from a fresh perspective. (note: the company domain name is: [login to view URL] &gt;&gt;&gt;no .com! suffix and no www. prefix) .productions is a new TLD top-level domain name. I just create a Great Logo for you but unfortunately, I cannot submit the logo just see the entry submit time is over. so, Is there any chance I can show you the logo or you can contact me so I can show you. #987 #978 #966 #946 #463 PLEASE CHECK SIR.. THANKS..
Sir.Please check my entry #1030,#1031. The letter “i” in BIG resembling the DALLAS, TEXAS “Reunion Tower” thus evoking the city of “DALLAS”. 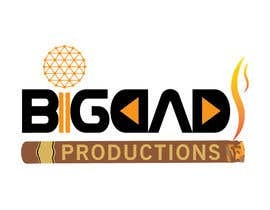 The image of a fancy CIGAR thus evoking a “big shot” -the cigar could underline and separate BIGDAD from Productions or even the cigar contains “Productions” ? Can you please elaborate that one idea! #987 978 #966 #946 #463 PLEASE CHECK SIR.. THANKS..
#978 #966 #946 #463 PLEASE CHECK SIR.. THANKS..
#966 #946 #463 PLEASE CHECK SIR.. THANKS..
#946 #463 PLEASE CHECK SIR.. THANKS.. Yet another idea: look at Entry #428 - What if the outside B & D letters become HEADPHONES ? #904 ----------------------------------------------- Check this one!